A few people have contacted me recently asking for recommendations for places to stay that will accommodate a family of 5 (or more). I must admit that this is one of the things I really struggle with - we often resort to booking two hotel rooms or even trying the tactic of sneaking an extra child in with us (don't tell anyone I said that). My kids will happily bed share and there's always enough room in family rooms for 5 of us so I'm not sure why most hotels have a really strict policy of allowing just 1/2 children to stay with their parents? Well I know the answer is money so we'll just leave that one there. We tend to stay in cottages, lodges or apartments these days and I often find that family-run bed and breakfasts are a lot more flexible in providing an extra bed for us. If you are staying in a city centre, I'd recommend using booking.com to search for hotel rooms that sleep 5 and then try and find the best deal for that hotel (they often have special offers on their own website). There used to be a fab website that only featured accommodation that accommodated 5 people or more but the owners have stopped running it now. Let me know if you have any tips or any websites you use for larger families. 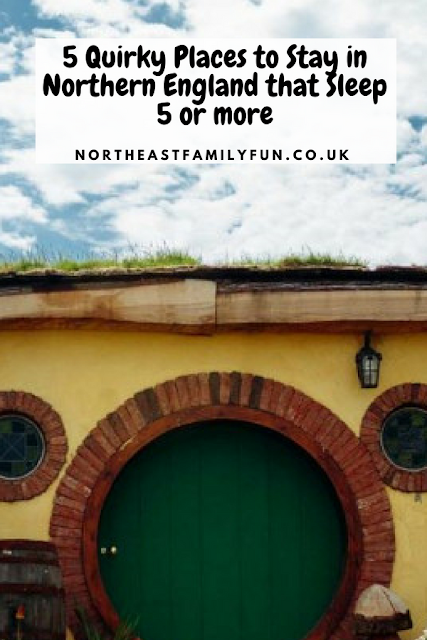 For today's post, I'm going to share some quirky places I've found that are all family-friendly and sleep at least 5. I've stuck with Northern England this time so they're all within a few hours drive of Newcastle. Let me know if you fancy trying any of these or have stayed somewhere quirky recently. 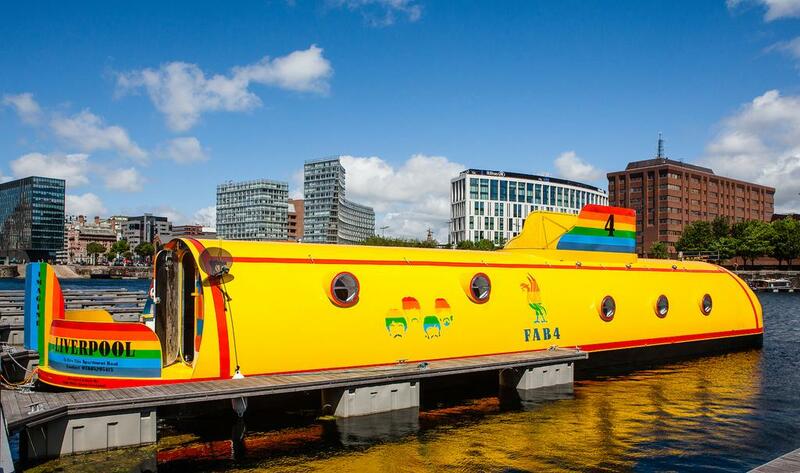 How cool is this Yellow Submarine Houseboat? You'll find this boat on the Liverpool canals and the interior gives a nod to the Beatles with Gold discs and paraphernalia. There's a modern kitchen, bar and tv and there are three bedrooms which sleep up to 8 so perfect for larger families. Find out more and book here. Chillingham Castle is a 13th Century Grade I listed building in Northumberland. 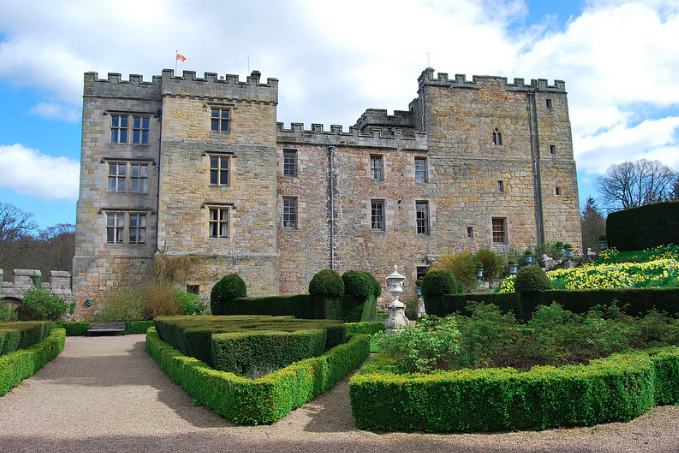 Famous for being Britains' most haunted castle, you can stay in one of the castle's unique apartments or rooms with original features. The Lookout sleeps 5, Landseer apartment sleeps 6, Dairy sleeps 6 and The Coaching Rooms sleeps 7. During your stay you'll have free access to the castle and beautiful grounds. Look out for those ghosts! Find out more and book here. 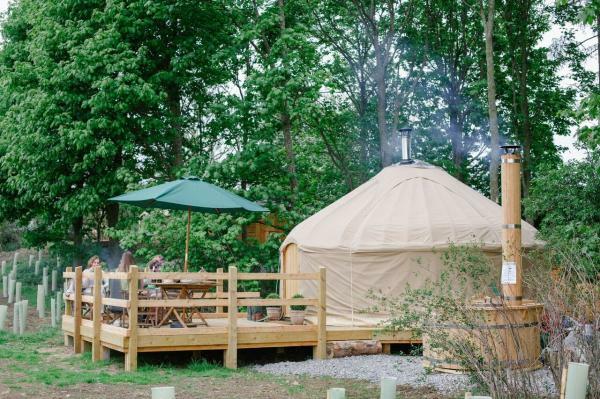 The Wensleydale Experience is a group of Mongolian Yurts with hot tubs set on a working farm in the Yorkshire Dales. 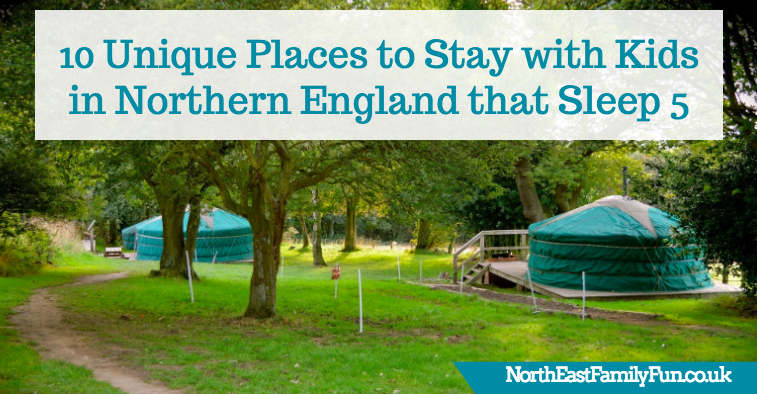 Each yurt sleeps 5 and is located in a private setting. The yurts are well equipped with their own kitchenette, shower, toilet room, wood burner, beds and futons. Find out more and book here. 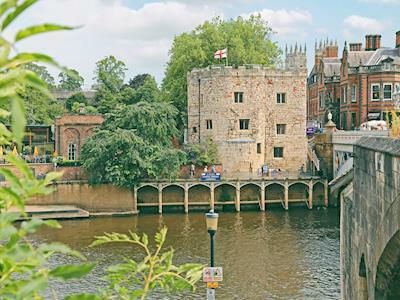 How cool would staying in a 14th century tower in the heart of York be? Lendal Tower has been awarded the Visit England 5 Star Gold award and is absolutely stunning inside and out. As well as a stunning roof terrace with gorgeous views across the city, there's a freestanding copper bath, wood panelled bedrooms, a modern kitchen, spiral staircase and more. Stayin here would definitely be lots of fun! Find out more and book here. How about staying in a converted chapel? 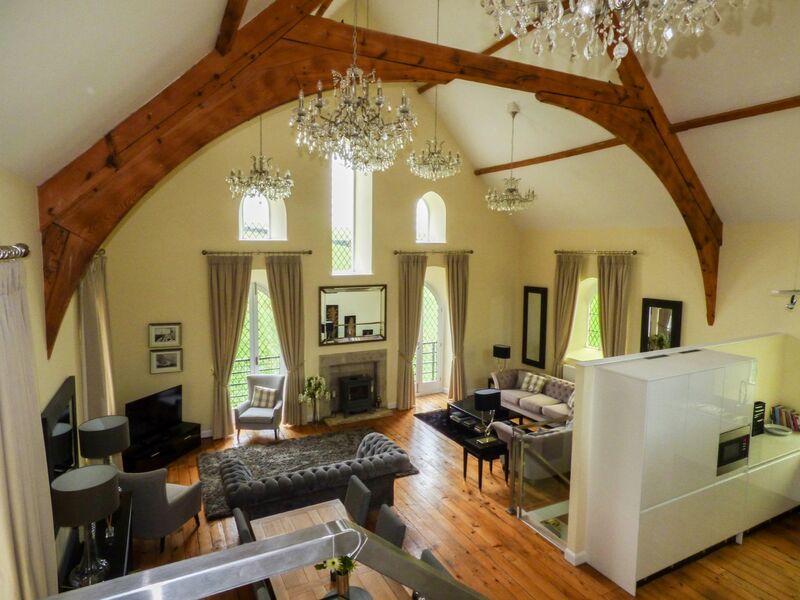 The Old Chapel in The Lake District is a beautiful detached property in an elevated position with picturesque countryside views. Accommodation is split across four bedrooms and the property has been furnished to a very high standard. It's dog-friendly too! Find out more and book here. Birdhopecraig Church is a stunning Grade II listed building on the borders of Kielder Forest in Northumberland. Packed with original features, the open plan accommodation is spacious and will provide a setting for a holiday to remember. Find out more and book here. Fancy staying in your very own Hobbit house? North Shire is a magical family farm in the North Yorkshire Moors offering a range of unique and quirky accommodation. Shire House (pictured) sleeps up to 6 and has it's own kitchen, luxury bathroom with roll top bath and dining area - the only thing you need to bring is your food and towels. Find out more and book online here. 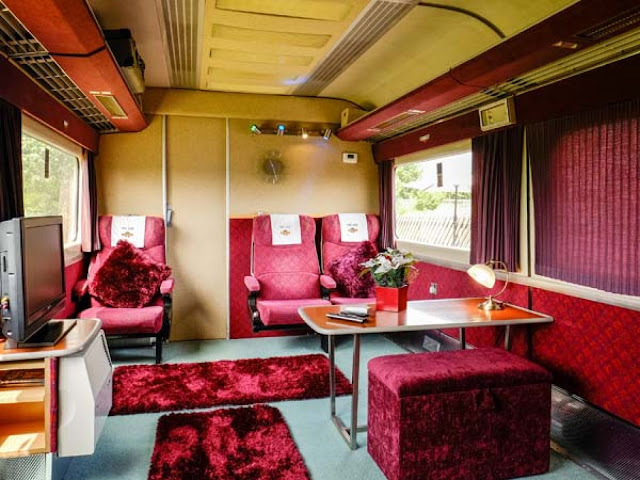 I've always wanted to stay in a converted carriage and this one near Whitby looks pretty cool. I love how they've kept the original seats! The carriage features 3 bedrooms and offers glorious views of the surrounding countryside. It's the perfect base for walks or exploring North Yorkshire. Find out more and book here. 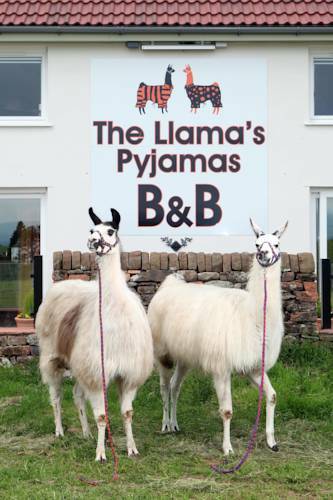 I just love the sound of this bed and breakfast in Cumbria where Llamas will feature at the heart of your stay. The on-site cottage sleeps up to 6 and rooms are styled with a South American theme. The accommodation has its own group of Llamas and for small additional charge, guests can take the llamas trekking or take part in animal handling sessions. There's a Llama Karma cafe too. Find out more and book online here. 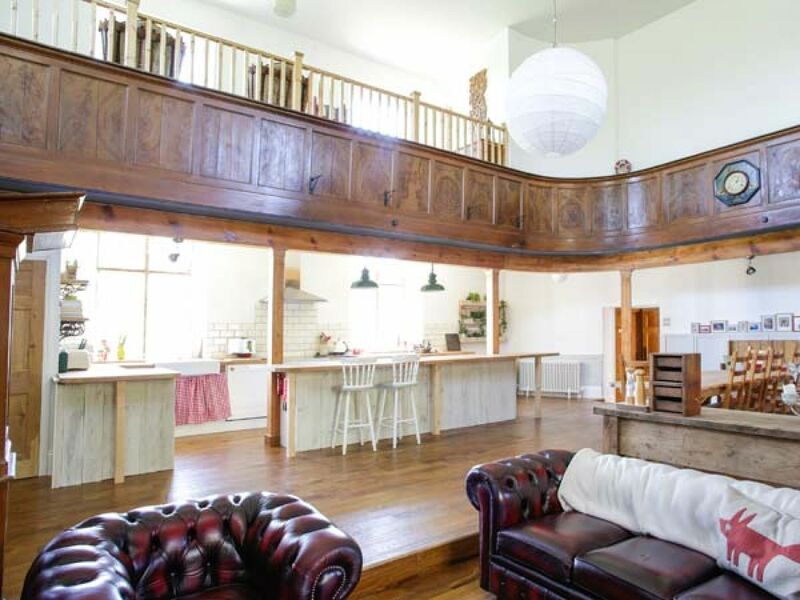 You can stay in a converted old Lifeboat House in Hornsea, North Yorkshire. The house sleeps up to 6 and is just a couple of minutes walk from the beach. 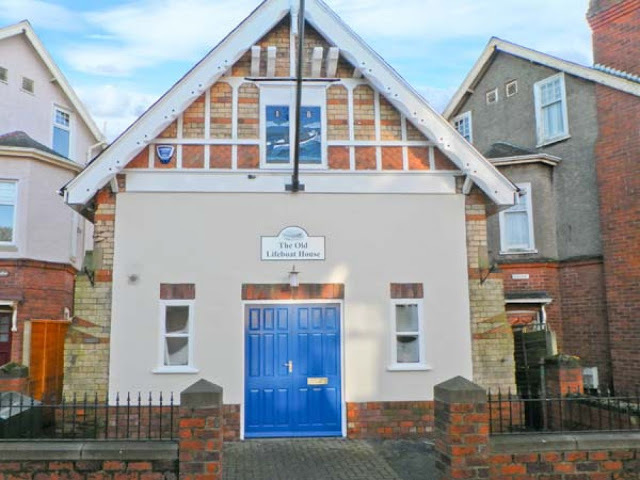 The accommodation is upside down with 3 tasteful bedrooms on the ground floor and open plan living accommodation upstairs. Pets are welcome and it's just a 5 minute walk to the nearest pub. Find out more and book online here. Have you stayed anywhere unique recently or do you fancy any of the places I've mentioned? I'd love to try the hobbit house! 5 of us stayed in the Joker Boat moored next to the Yellow Submarine, owned by same people. Oh wow there are some seriously beautiful places here! I recognise The Llamas Pyjamas from Four in a Bed on Ch 4 (I could seriously binge watch that show all day!) I love the railway carriage and the converted church looks beautiful!